Here’s my solution. It’s logical and practical; though obviously that doesn’t mean anyone will take it up. The key is the waistcoat. Men don’t wear suit jackets because there’s no need in an air-conditioned office; the waistcoat will not make you too hot. Men don’t wear suit jackets because it can be uncomfortable to work in at a computer; the waistcoat does not restrict you. A man without his suit jacket can look scruffy if his shirt becomes untucked; the waistcoat keeps it hidden. Without his suit jacket a man’s tie can look untidy; the waistcoat keeps it buttoned up and prim. It’s hard to fault the logic. So basic office attire could be a two-piece suit of waistcoat and trousers. A man can then wear any weight of coat over it when he goes outside. There is no need to put on both a jacket and coat (if cold), or leave the jacket on the back of your chair all day long (if hot). Wearing waistcoat and trousers is not quite as flattering as a jacket. But it does lengthen the figure in a similar way, maintaining that long line of smart dark wool. Pinstripes can still be employed to add slenderness, in the same way as a suit (it is hard to see this working with trousers and shirt – see previous posting on shirts that look like pyjamas). And for those who like to get involved with their suits, to understand tailoring and aspire to a bespoke lifestyle, waistcoats offer much. Many tailors will tell you that a waistcoat is one of the hardest things to make, a summit of the craft. It needs to both fit snugly to the body and remain flexible. It is probably harder to find a well-fitting waistcoat than a well-fitting jacket off the peg. Plus, Tom Ford loves them. There are of course other solutions to the dilemma I posed. If your shirt has long enough tails and fits close to your waist it is unlikely to become untucked. Your tie could be prevented from flapping by a tie clip. But I do think the waistcoat solution has advantages, as it retains the smartness of a suit and remains within the menswear tradition. So, wear a two-piece suit with a difference to work tomorrow. If anyone asks why just point them in the direction of this blog. You can follow the discussion on The Logical Waistcoat Theory (part two) by entering your email address in the box below. You will then receive an email every time a new comment is added. These will also contain a link to a page where you can stop the alerts, and remove all of your related data from the site. 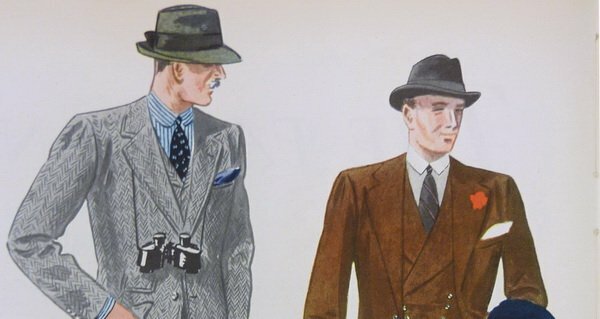 Been looking for a good waistcoat – thinking of making a project out of making one from a good pattern. Trying to find a good one here in the US is a bit challenging – as well as finding a good fabric store that caters to the masculine crowd. any tips?? I like the suggestion. Around the office here the sweater vest comes out when it’s colder. Your suggestion would work well year round.